This classic wine column by the late Jerry D. Mead was first published on this web site ten years ago. The wine recommendations are still valid… and the references to the wineboard postings are a lot of fun. Cheers! Instead of personally suggesting what wines to drink with turkey this year, I thought you might like to look in on an exchange on one of those interactive Internet wine sites where the subject of wines for Thanksgiving was a recent topic. It all started when a fellow asked the other participants for recommendations for wines to take to a Thanksgiving dinner where he did not personally know the host. He wanted to make a good impression by bringing the “right” type of wine. You may recall that every year at this time I tell you that turkey is one of the most versatile meats and especially because of the wide range of flavors provided by the turkey accompaniments…just about any wine will work. One of the regular participants on the Wineboard is Randy Caparoso, beverage specialist for Roy’s restaurants based in Honolulu and also wine columnist for a Honolulu daily. Because of his duties at Roy’s, Caparoso is constantly staging wine/food affinity sessions with groups of people to determine which wines work best with the widely varied cuisine at his restaurants. He’s one of the best I’ve ever seen for matching the right wine with the right food. His first recommendation was that two wines be taken, one white, one red…something to please everyone. Specifically he recommended a huge, smoky-oaked Chardonnay and a round, opulently flavored Merlot. Later, he got even more specific with a number of suggestions based on how the turkey is cooked and what ingredients go into the stuffing. A player named Jason suggested Gewurztraminer (not too sweet) with turkey. I have to tell you that’s one combination I never thought to try (but will this year), but several others came on with “me toos” for Gewurz. “Tabby” and “Foodie” both like Beaujolais with turkey, and that’s one I can endorse wholeheartedly. Some of the “Nouveau” versions available in fine wine shops this time of year would be ideal with a slight chill on them. These are light, fruity, very quaffable reds, by the way. “Scoop” likes Zinfandel (the real red kind), and he likes them pretty big without being overripe and alcoholic. 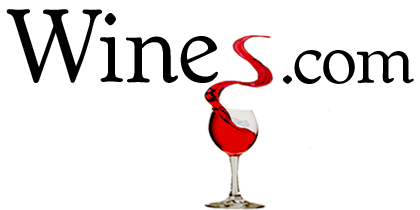 “Bucko” is a fan of Rose and other pink wines, including such wines as Simi Rose of Cabernet Sauvignon, King Estate “Oregon” Vin Gris and Preston “Columbia Valley, Washington” Gamay Beaujolais Rose. All three wines sell for about $10. I told you Caparoso got specific. Here’s an abbreviated version: Turkey with buttery, bread, sage stuffing, especially if roasted in a smoker: Chardonnay. Turkey with sausage stuffing, especially with fennel and other sausage spice: Gewurztraminer. Turkey with mixed mushroom stuffing: Chardonnay or Pinot Noir…both like the earthy flavors. Turkey with fresh fruit (plums, other stone fruits) stuffing: Jammy, ripe red Zinfandels, slightly sweet White Zinfandels or from France a Grand Cru Beaujolais. Turkey with oyster stuffing: Chardonnay again, but lighter, crisper styles, like those from Santa Barbara or Oregon, or French Chablis or Macon. The heavy ones turn bitter in the presence of oysters. Then Caparoso got a little far out for my experience. Maybe it has something to do with living in the Islands. Turkey with Chinese seasoned stuffing (star anise, ginger, etc): Rieslings or Chardonnays long on tropical fruit flavors, for whites. Or softer styles of Syrah like Fess Parker’s from the Santa Barbara area. Cajun deep fried turkey: German Riesling or Pinot Gris from Germany or Oregon…you need the crisply acidic edges to cut through all that oil. Now, I’ve never even heard of deep-fried turkey before, but I’m betting Caparoso has the wines pegged. All of the above just demonstrates what I’ve always said, you can pretty much drink any wine you like with turkey and it’s going to taste pretty good. Or you could do what I always do for all large family gatherings. Everyone gets at least two wine glasses (so comparisons can be made) and I open four or five different wine types. Perhaps a crisp white, a fat oaky white, something pink, fruity and a little sweet, a softer red and a big powerhouse red. First bottle empty is declared best wine of the night.